Here in Seattle the nights are long. It's dark by the time I get home from work. The outdoor lights on my home are off, unless I leave them on all day. A friend turned me on to the Honeywell RPLS740B timer. What makes this one so different is its capability to turn the lights on and off at sunset and sunrise; every day, reliably, for years. 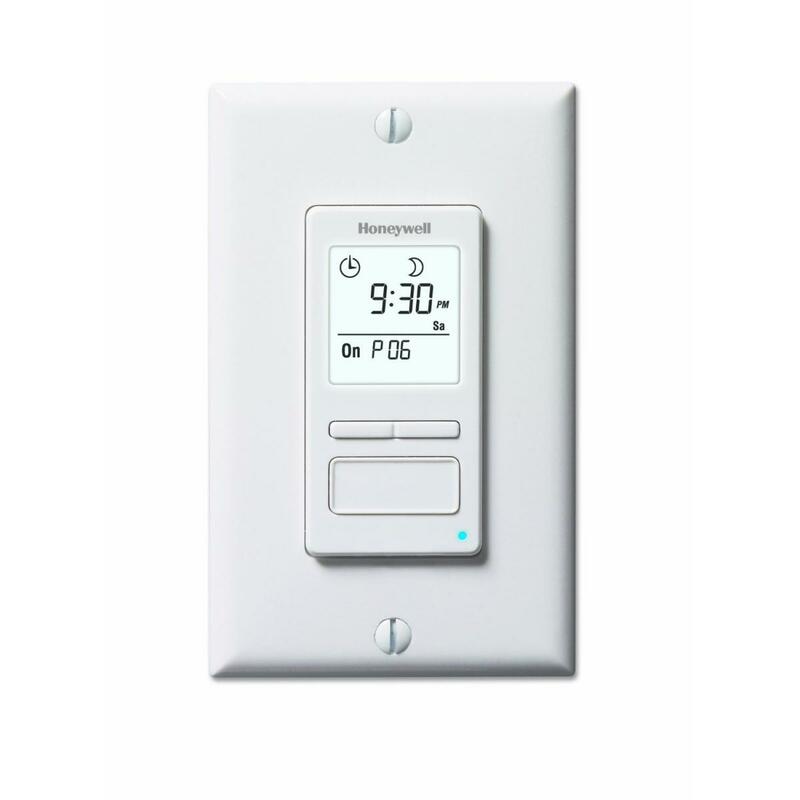 The Honeywell RPL740B does not sense the presence of light like other switches do. During setup the user enters the longitude and latitude of the city he or she lives in, and the current date and time. That's enough information for the switch to calculate the exact time of sunset and sunrise. And, once set, the switch can do so perpetually. It's truly hands off. "Turns the lights on and off at sunset and sunrise. Every day, reliably, for years." I am sure that the switch is not perfectly accurate. It won't turn the lights on the second daylight fades. It won't be far off, however. The switch will certainly be more accurate than me. How often have you turned the lights off at 11am on a Saturday morning? It's a ritual in my house; at least until now. If you want to, you can program the switch to turn the lights on anytime after sundown. Just enter how long the delay should be. The switch will honor this delay no matter when sundown actually is. The same can be done at sunrise. The switch does function like an actual light switch. There is a somewhat small button on the front that turns the lights on or off. The switch, which appears to have a replay inside, makes an very audible click when it cycles. The button is recessed enough to make it annoying to use on a regular basis. It was not engineered for frequent use. Unfortunately programming the switch is as difficult as always. Setting the time and entering the longitude and latitude was easy. Getting the switch into auto mode took me 3 days to accomplish. The menu items are not necessarily intuitive. The manual does not help much. The good thing about the RPLS740B is that I only have to do this work once. After the switch is in auto mode, you don't have to touch it anymore. And that's the great insight the engineers at Honeywell produced. I want my lights on at sundown, off at sunrise. I don't want to do anything at all to make that happen. That's exactly what you get from the RPLS740B. The switch can also be used as a standard timer. The user can program up to 7 different programs into the switch. Only one program can be active at any time. In addition to solar time table mode, there is manual mode, and random mode. In manual mode the switch turns the lights on or off at exact times. In random mode the switch turns the lights on and off randomly. This is the very useful "vacation" mode. For me these modes are extra features. The RPLS740B excels when it is used in full automatic mode. The switch does not lose it's settings when the power goes out. Even it's internal clock keeps working. Once the power comes on, the switch functions as if nothing has happened. In a test the switch kept it's settings for 12 hours without power. This feature is simply brilliant. I don't have to worry about the switch when the power goes out. All I wanted is my lights on/off at the correct time. That's what I got. Brilliant. Honeywell's model numbers for their switches in not very intuitive. I had to crawl their website to put this information together. If your lights are controlled by multiple switches, you have to get the RPLS540A. It is the only model that supports 3-way installs. The power limit of 500watts applies, but should not be a problem. The RPLS740B is design for high/low demand scenarios. It can only be used in single switch setups. Installation is marginally more difficult than installing a standard switch. The RPLS740B requires a neutral wire. Almost all homes in the US will have a neutral in the box. Connect the switch's neutral wire to the neutral in the junction box. [calloutright]"One of those rare products that gets simplicity right. "[/calloutright]Since the RPLS740B uses a relay (which is directional), it has a power in and a power out wire. The supply wire coming from the panel must be connected to the in-side. The light fixture must be connected to the out-side of the switch. On standard switches, which are not directional, the wires can be connected whichever way. The house supply line can be identified with a no-contact tester. This wire will carry current all the time. The wire that connects to the light fixture will only carry current when the switch is on. If you are not comfortable with electricity, ask someone for help. You don't have to hire an electrician for a task like this. Any handyman will be able to complete the job. The Honeywell RPLS740B is one of those rare products that gets simplicity right. I don't have to worry about my lights anymore. The Honeywell switch manages them for me. That's exactly what I wanted. Programming is more difficult than it needs to be, but thankfully it only has to be done once. 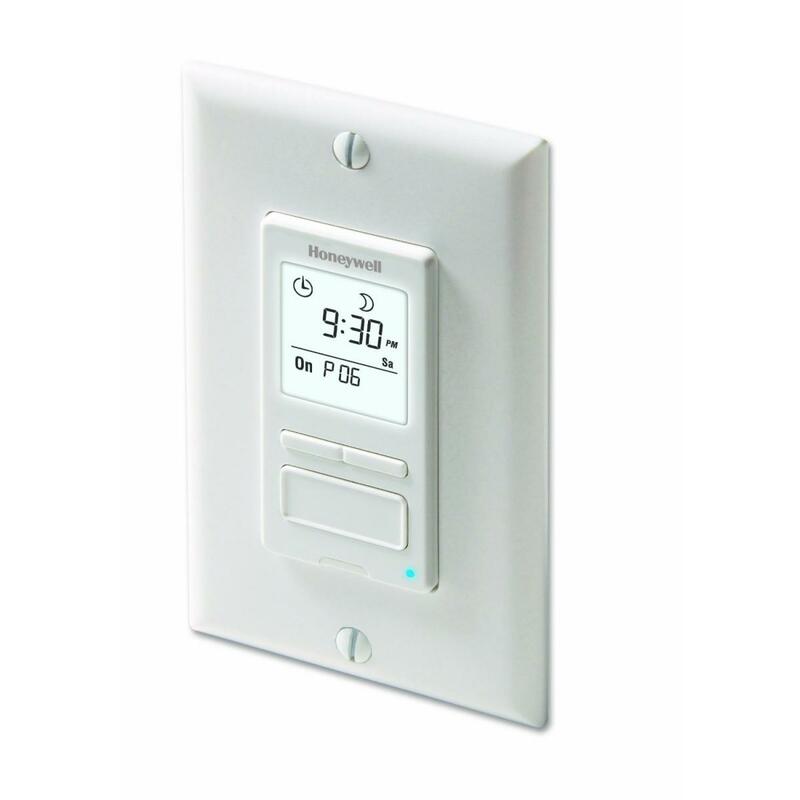 Daylight savings time and power outages, the Honeywell takes care of all of that. If you want to buy your last timer for your outdoor lights, make it the Honeywell RPL740B.